You can find in this page the summary of Pixeden.com terms, conditions and privacy statement. To see Pixeden.com complete terms and conditions, please read below and visit the privacy statement page. 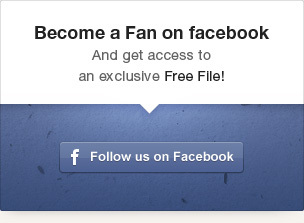 By creating an account on Pixeden.com or/and subscribing to the Newsletter, you gives us permission to send you emails. You will receive information regarding your account activity and updates about our resources. You can unsubscribe anytime by clicking on the “unsubscribe” link on our emails. Pixeden.com takes no responsibility for the resources you download from our site. Ie we do not provide any warranty to Pixeden.com end users for the quality, usability, or other aspect of the resources you downloaded. If you have any questions about these terms, please contact Pixeden.com. To read the complete Pixeden.com Terms and Conditions, please see below. "Pixeden.com" provides an interactive online service operated by Pixeden.com, on the Web, consisting of design resources for download, a design request system and a support service. This Agreement sets forth the terms and conditions that apply to the use of this Site by the End User. By using this Site (other than to read this Agreement for the first time), End User agrees to comply with all of the terms and conditions hereof. The right to use this Site is personal to the End-User and is not transferable to any other person or entity. End User shall be responsible for protecting the confidentiality of End User's password(s), if any. End User acknowledges that, although the Internet is often a secure environment, sometimes there are interruptions in service or events that are beyond the control of Pixeden.com and Pixeden.com shall not be responsible for any data lost while transmitting information on the Internet. Our objective is to make Pixeden.com and our support service available 24h/24, 7days/7, our site might be unavailable from time to time for any reason including, without limitation, routine maintenance. You understand and acknowledge that due to circumstances both within and outside of the control of Pixeden.com, access to the Site may be interrupted, suspended or terminated from time to time. Pixeden.com has the right at any time to change or discontinue any aspect of the feature of Pixeden.com. End User shall be responsible for obtaining and maintaining all hardware and other equipment needed for access to and use of this Site and all charges related thereto. Pixeden.com shall not be liable for any damages to the End User's equipment resulting from the use of this Site. Everything located on or in this Site, was created by Pixeden.com or used with express permission of the copyright and/or trademark owner. We do not ask for you to include any attribution or link back to Pixeden.com, we do however appreciate if you do credit our resources or/and help spread the word about us. If you would like to share one of our resource you can do so making a link to the specific resource page on Pixeden.com or/and use our preview images. No HOTLINKING is allowed i.e. you cannot make a direct link to the download or/and the images hosted on Pixeden.com. Concerning blog posts, you are free to link to it from any website, but you cannot however publish it as it is without prior consent from Pixeden.com. 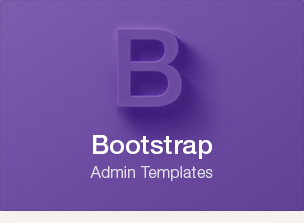 Of note, the license file named "license-README-FIRST.txt" that is included with our downloads is the current license terms when that resource was uploaded, however all of our resources are actually regulated by the license that is published on this website. Thus, if the license from our website is updated, the file "license-README-FIRST.txt" of older resource (which cannot be updated) would no longer be the license in use and would be replaced by the new license terms published on our website (which can be found in this section and on the license page). Pixeden.com does not have any express burden or responsibility to provide End User with indications, markings or anything else that may aid End User in determining whether the material in question is copyrighted or trademarked. End User shall be solely liable for any damage resulting from any infringement of copyrights, trademarks, proprietary rights or any other harm resulting from such a submission. By submitting material such as a blog post, End User warrants that the owner of such material has expressly granted Pixeden.com the royalty-free, perpetual, irrevocable, non-exclusive right and license to use, reproduce, modify, adapt, publish, translate and distribute such material (in whole or in part) worldwide. End User also permits any other end user to access, view, store or reproduce the material for that end user's personal use. End User hereby grants Pixeden.com the right to edit, copy, publish and distribute any material made available on this Site by End User. PIXEDEN EXPRESSLY DISCLAIMS ALL WARRANTIES OF ANY KIND, WHETHER EXPRESS OR IMPLIED, INCLUDING, BUT NOT LIMITED TO THE IMPLIED WARRANTIES OF TITLE, MERCHANTABILITY INCLUDING, BUT NOT LIMITED TO MERCHANTABILITY OF COMPUTER PROGRAMS, AND FITNESS FOR A PARTICULAR PURPOSE. PIXEDEN DOES NOT WARRANT OR GUARANTEE OUR RESOURCES IN ANY MANNER. END USER EXPRESSLY AGREES THAT USE OF THIS SITE IS AT END USER'S SOLE RISK. NEITHER PIXEDEN.COM, OR THIRD PARTY CONTENT PROVIDERS, OR LICENSORS WARRANT THAT USE OF THE SITE WILL BE UNINTERRUPTED OR ERROR FREE; NOR DO THEY MAKE ANY WARRANTY AS TO (I) THE RESULTS THAT MAY BE OBTAINED FROM USE OF THIS SITE, OR (II) THE ACCURACY, RELIABILITY OR CONTENT OF ANY INFORMATION, SERVICE OR RESOURCES PROVIDED THROUGH THIS SITE. THIS SITE ARE MADE ACCESSIBLE ON AN "AS IS" BASIS WITHOUT WARRANTIES OF ANY KIND, EITHER EXPRESS OR IMPLIED, INCLUDING, BUT NOT LIMITED TO, WARRANTIES OF TITLE OR IMPLIED WARRANTIES OF BRAND ABILITY OR FITNESS FOR A PARTICULAR PURPOSE, OTHER THAN THOSE WARRANTIES WHICH ARE IMPLIED BY AND INCAPABLE OF EXCLUSION, RESTRICTION OR MODIFICATION UNDER THE LAWS APPLICABLE TO THIS AGREEMENT. THIS DISCLAIMER OF LIABILITY APPLIES TO ANY DAMAGES OR INJURY CAUSED BY ANY FAILURE OF PERFORMANCE, ERROR, OMISSION, INTERRUPTION, DELETION, DEFECT, DELAY IN OPERATION OR TRANSMISSION, COMPUTER VIRUS, COMMUNICATION LINE FAILURE, THEFT OR DESTRUCTION OR UNAUTHORIZED ACCESS TO, ALTERATION OF, OR USE OF RECORD, WHETHER FOR BREACH OF CONTRACT, TORTIOUS BEHAVIOR, NEGLIGENCE, OR UNDER ANY OTHER CAUSE OF ACTION. END USER SPECIFICALLY ACKNOWLEDGES THAT PIXEDEN.COM IS NOT LIABLE FOR THE DEFAMATORY, OFFENSIVE OR ILLEGAL CONDUCT OF OTHER USERS OR THIRD-PARTIES AND THAT THE RISK OF INJURY FROM THE FOREGOING RESTS ENTIRELY WITH END USER. IN NO EVENT SHALL PIXEDEN.COM, OR ANY PERSON OR ENTITY INVOLVED IN CREATING, PRODUCING OR DISTRIBUTING THIS SITE OR THE CONTENTS HEREOF, BE LIABLE FOR ANY DAMAGES, INCLUDING, WITHOUT LIMITATION, DIRECT, INDIRECT, INCIDENTAL, SPECIAL, CONSEQUENTIAL OR PUNITIVE DAMAGES ARISING OUT OF THE USE OF OR INABILITY TO USE THIS SITE. END USER HEREBY ACKNOWLEDGES THAT THE PROVISIONS OF THIS SECTION SHALL APPLY TO ALL CONTENT ON THIS SITE. IN ADDITION TO THE TERMS SET FORTH ABOVE, NEITHER PIXEDEN.COM, NOR ITS AFFILIATES, INFORMATION PROVIDERS OR CONTENT PARTNERS SHALL BE LIABLE REGARDLESS OF THE CAUSE OR DURATION, FOR ANY ERRORS, INACCURACIES, OMISSIONS, OR OTHER DEFECTS IN, OR UNTIMELINESS OR UNAUTHENTICITY OF, THE INFORMATION AND DOWNLOADS CONTAINED WITHIN THIS SITE, OR FOR ANY DELAY OR INTERRUPTION IN THE TRANSMISSION THEREOF TO THE END USER, OR FOR ANY CLAIMS OR LOSSES ARISING THEREFROM OR OCCASIONED THEREBY. NONE OF THE FOREGOING PARTIES SHALL BE LIABLE FOR ANY THIRD-PARTY CLAIMS OR LOSSES OF ANY NATURE, INCLUDING WITHOUT LIMITATION LOST PROFITS, PUNITIVE OR CONSEQUENTIAL DAMAGES. 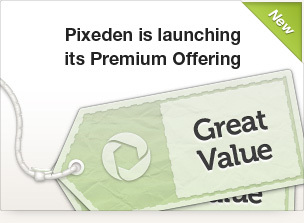 PIXEDEN.COM IS NOT RESPONSIBLE FOR ANY CONTENT THAT A USER, SUBSCRIBER, OR AN UNAUTHORIZED USER MAY POST ON THIS SITE. ANY CONTENT THAT IS POSTED OR UPLOADED THAT IS OR MAY BE DEEMED UNSUITABLE CAN AND MAY BE TAKEN DOWN BY PIXEDEN.COM. MOREOVER, PIXEDEN.COM RESERVES THE RIGHT TO EDIT, CHANGE, ALTER, DELETE AND PROHIBIT ANY AND ALL CONTENT THAT IT, PIXEDEN.COM, DEEMS UNSUITABLE. Pixeden.com shall have the right, but not the obligation, to monitor the content of the Site at all times, including any comment activities and forums that may hereinafter be included as part of the Site, to determine compliance with this Agreement and any operating rules established by Pixeden.com, as well as to satisfy any applicable law, regulation or authorized government request. Without limiting the foregoing, Pixeden.com shall have the right to remove any material that Pixeden.com, in its sole discretion, finds to be in violation of the provisions hereof or otherwise objectionable. End User acknowledges that all discussion for votes, ratings, comments and/or other message or communication facilities (collectively "Communities") are public and not private communications, and that, therefore, others may read End User's communications without End User's knowledge. Pixeden.com does not control or endorse the content, messages or information found in any Community, and, therefore, Pixeden.com specifically disclaims any liability concerning the Communities and any actions resulting from End Users participation in any Community, including any objectionable content. Generally, any communication which End User posts to Pixeden.com is considered to be non-confidential. If particular web pages permit the submission of communications that will be treated by Pixeden.com as confidential, that fact will be stated on those pages. By posting comments, design requests, messages or other information on the Site, End User grants Pixeden.com the right to use such comments, messages or information for promotions, advertising, market research or any other lawful purpose. For more information see Pixeden.com's Privacy Statement. By posting communications on or through this Site, End User shall be deemed to have granted to Pixeden.com a royalty-free, perpetual, irrevocable, non-exclusive license to use, reproduce, modify, publish, edit, translate, distribute, perform, and display the communication alone or as part of other works in any form, media, or technology whether now known or hereafter developed, and to sublicense such rights through multiple tiers of sublicensees. Pixeden.com offers as part of our membership services a special community design request system that allows our users to ask for a resource that they would like us to create. The idea of our membership system is to provide access to resources that were specifically created for our members according to their needs and requests. As such our design request system lets our members browse suggested ideas, vote for them or create their own design request. The system is used as a way to recollect, administer and prioritize the different requests. Pixeden.com allows itself the right to deny requests that are not in the scope of our workforce knowledge and requests that do not make sense in terms of the range of design resources we offer; for instance design request that do not enter in our current resource categories. After you have sucessfully registered, your Pixeden free membership information will be emailed to the email address you provided. If you do not receive an email, contact us through this website. Upon logging in with the provided credentials, free members will have instant access to all the free resources on our website. Our free accounts grants you a lifetime membership with full access to our free resources. If you cancel your membership, your download access is immediately removed. Our memberships are not to be shared with other users. If the membership was created by a company, only its direct employees can use the account on the behalf of the company. Pixeden reserves the right to cancel your membership with no fiduciary compensation, if it feels that as a user you are not abiding by Pixeden license and terms of services. After we have successfully received your payment, your Pixeden premium membership information will be emailed to the email address you provided. If you do not receive an email, contact us through our website. Upon logging in with the provided credentials, premium members will have instant access to all the premium resources on our website. During the membership period, full access will be provided to the resources and e-mail support service. After the membership has expired or been canceled, your download access is immediately removed. Our memberships are not to be shared with other users. If the membership was created by a company, only its direct employees can use the account on the behalf of the company. We grant special rights to education facilities for them to be able to use our resources with their student without having to create multiple accounts, if you are representing such a facility please contact us for more details. Pixeden reserves the right to cancel your membership with no fiduciary compensation, if it feels that as a user you are not abiding by Pixeden license and terms of services. 15. Premium membership e-mail support service. Pixeden offers these resources ‘as is’, with no implied meaning that they will function exactly as you wish. However we offer a service support via email for our premium members that consists of helping our members modify, use and insert our resources in their projects. If necessary, we would also provide phone support with the member to respond to his specific request. Note that we do not commit at being able to answer to all the questions asked, modify as requested the resource and/or resolve each issues. You acknowledge by your use of our resources that it is at your sole risk, and that you assume full responsibility for all costs associated with all necessary servicing or repairs of any equipment you use in connection with our resources. 16. Refund and cancelation policy. Since Pixeden is offering non-tangible goods we do not issue refunds after the membership is made, which you are responsible for understanding upon registering at our site. You can cancel your account at any time through your account page by selecting the cancel button next to your membership listing section or/and through your Paypal account by canceling the recurring payment profile if you subscribed for a recurring membership. If you don't have a PayPal account and paid directly with a credit card, please contact us so that we can manually cancel the recurring membership. Note that if you cancel your recurring account from our website, it is your responsibility to make sure that when redirected to your Paypal account, you logged in and received a success message stating that your recurring profile from Pixeden was canceled. If you are not sure please contact us. Our products are provided “as is” without warranty of any kind, either expressed or implied. In no event shall Pixeden be liable for any damages including, but not limited to, direct, indirect, special, incidental or consequential damages or other losses arising out of the use of or inability to use our products. End User agrees to defend, indemnify and hold harmless Pixeden.com, its affiliates and their respective directors, officers, employees and agents from and against all claims and expenses, including attorneys' fees, arising out of the use of this Site by End User. Pixeden.com may terminate this Agreement at any time. Without limiting the foregoing, Pixeden.com shall have the right to immediately terminate any passwords or accounts of End User in the event of any conduct by End User which Pixeden.com, in its sole discretion, considers to be unacceptable, or in the event of any breach by End User of this Agreement. The provisions of Sections 3, 5, 6, 7, 10, 11, 12 will survive termination of this Agreement. Unless otherwise indicated, all other trademarks appearing on Pixeden.com are the property of their respective owners. This Agreement and any operating rules for Pixeden.com established by Pixeden.com constitute the entire agreement of the parties with respect to the subject matter hereof. No waiver by either party of any breach or default hereunder is a waiver of any preceding or subsequent breach or default. The section headings used herein are for convenience only and shall be of no legal force or effect. If any provision of this Agreement is held invalid by a court of competent jurisdiction, such invalidity shall not affect the enforceability of any other provisions contained in this Agreement and the remaining portions of this Agreement shall continue in full force and effect. The failure of either party to exercise any of its rights under this Agreement shall not be deemed a waiver or forfeiture of such rights or any other rights provided hereunder.